Whether you are considering a roof replacement, installation of roof windows or a replacement conservatory roof, our modern roofing products and techniques will make your home look stunning. 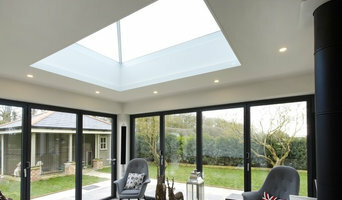 We aim to provide you with comfort, natural light and energy efficiency for your home. If your home is a little out of the ordinary, our highly skilled teams will really shine! Whether you have a heritage property that requires careful roofing, leading or slate work, or you own a prestigious property where only the best will do, you can trust our specialist teams who have helped restore many buildings. We've worked on simply glorious stately homes to Grade I, Grade II and Grade II* listed buildings. Our Surveyors and Energy Assessors provide professional advice on your roofing & home improvement options and can advise on how re-roofing your property could save you a substantial amount on your heating bills in the long run. This will help you pay for those essential home improvements along the way! We are proud of the work we do and work hard to exceed our customers expectations. Our staff are friendly and approachable and we always welcome customers to pop in to our premises at Hipperholme, Halifax for a coffee and a chat should they wish to meet our team. 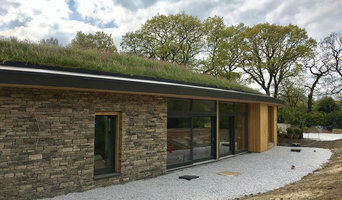 With over 10 years leadwork and roofing experience, RT Alkin Leadwork & Roofing provides a wide range of domestic and commercial lead roofing as well as slate and tiling services. We use traditional leadwork techniques with both milled and sand cast lead. RT Alkin Leadwork & Roofing is based in Tenterden, but our work also takes us throughout Kent and East Sussex. We take great pride in everything we produce and will carry out the complete installation of any leadwork job. This includes every thing from timber work and tiling, down to fitting insolation. This can be invaluable to a client, as it takes away the burden of organisation and interaction between trades, that can often lead to delay and confusion. For every job undertaken, a complete survey is conducted. This is to identify exactly what is causing the leak or damp whether it be a slipped soaker on a chimney, a split lead bay on a flat roof or just a blocked outlet on a box gutter. Working with the customer, our aim is to solve the the problem as easily and effectively as possible. The Projects section gives a portfolio of some of our work, and we can also supply customer references on request. 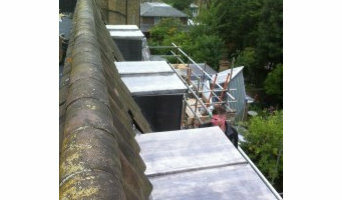 RT Alkin Leadwork & Roofing is fully insured, holding Public and Product Liability Insurance up to the sum of £5,000,000. This allows us to use Oxygen and Acetylene within our work. Please do not hesitate to get in touch for a free, no obligation, quote or advice. W&S Christie Edinburgh roofing was established in 1810 and we take great pride in our reputation for honesty, professionalism and craftsmanship. We specialise in all kinds of roofing from Flat Roofs, full reslates to Chimney Repairs. Our rates are highly competitive and the quality of our work unrivaled. Whether you require damaged tile or slate replacement or a brand new fibreglass flat roof installation, Coastal Guttering can provide you with all aspects of roofing repairs and installation. With a 20 year guarantee on our new flat roofs, you can rest assured you'll receive nothing but the highest quality materials and workmanship. At Coastal Guttering we can perform small chimney repairs and re-pointing through to full structural rebuilds. If you think your chimney may require attention due to storm damage or general wear and tear over the years, simply give our team a call, we will be happy to come and assess its condition for you. To find out about the complete building package we offer, contact the builders at Coastal Guttering today and let us add value to your home. If you are looking for roof repairs, a new flat roof or Velux Window installation, you have come to the right place. The team at Crown Roofing & Building Services boasts an impressive track record of high-quality roofing and repair projects, all completed on time and within budget. We have earned a solid reputation as a reliable, trustworthy, Halifax based roofing and building contractor. At Crown Build we are proud of the excellent reputation we have achieved over the last 7 years. With hundreds of works completed, we can offer our in-depth knowledge and experience in working with all roofing methods and materials. With so many roofing materials and methods on the market, from slate to machine made tiles, we can give you sound advice on what will best suit your property. In addition to our years of experience, we also offer a market leading, fully insurance backed 10-year guarantee for all of our work, giving you full peace of mind! 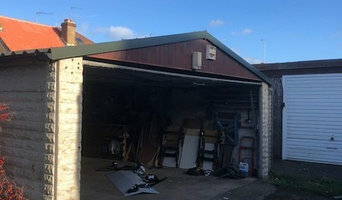 We know that having your property re-roofed can be a big decision, so we are proud to offer our customers a service that provides them with comprehensive knowledge of the best techniques and materials to suit your roofing needs, teamed with total financial and workmanship security. Why should I hire roofers to handle my roofing and guttering? How will roofers construct my new roof? Every roofing project is a little different but on a typical re-roofing job, your roofing contractors will firstly erect scaffolding around your property, strip off any existing roof covering and cover the roof using a breathable felt. Next they will batten the roof, and then they will begin tiling in the tile or slate of your choice. You might opt for a dry fix system or mortar to complete your roof. There are a wide variety of materials available and your roofers can help you decide which option is best. You might look at clay, slate or concrete tiles and your choice will depend on cost, the style of your home and the local roofing style. In the North West of the UK you will see a lot more slate tiling, whilst in the South East there is an abundance of clay roofs. If you are in a conservation area you may find that your choices are more limited and you may need to look for reclaimed tiles; local roofing contractors will be knowledgeable in this area, so ask for their advice, too. How do I find good guttering specialists and roofers? Search for roofers and gutter cleaning specialists in the Find a Pro section of Houzz. 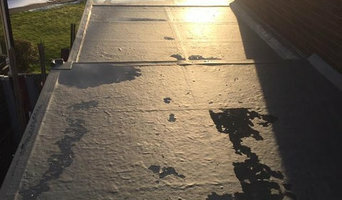 Read their profiles, try to match their core skills with the problem in hand – some specialise in flat roof repair using roofing felt, others only work with roof tiles – and then see what previous customers have to say about their quality of service. Ask for personal recommendations from friends and family. Ideally your shortlisted roofing and gutter specialists or experts are members of the National Federation of Roofing Contractors (NFRC), the Guild of Master Craftsmen or the Federation of Master Builders (FMB). Each trade organisation demands a high level of expertise and imposes a code of conduct on its members. TrustMark is a government-endorsed scheme that independently assesses tradespeople and allows you to lodge a complaint if necessary – look out for that. Call them round for a consultation and make sure you request a written quote. Cheapest is not necessarily the best; more importantly, who can you work with? Find roofers and gutter cleaning professionals on Houzz. Narrow your search in the Professionals section of the website to roofer or gutter specialist. You can also look through photos by style to find a roofing project you like, then contact the specialists or roofing contractors who designed it.